BYKOTA Ministries is a corporation sole that ministers to Pine Dale, NM and the surrounding communities. Pastor Nathan & Marietta are full time missionaries. 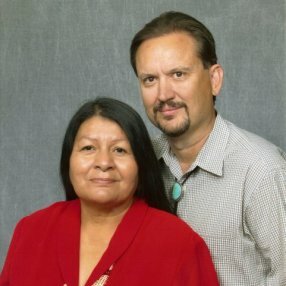 God has called them to minister to her people the Navajo. Their sphere of influence is a community of Navajos that live in very impoverished situations. 45% of their community live below the national poverty level. They minister to those whom society has forgotten. Pastor and Marietta's heart is as 2Peter 3:9 says, "The Lord is not slack concerning his promise, as some men count slackness; but is longsuffering to us-ward, not willing that any should perish, but that all should come to repentance. " Pastor Nathan is a graduate of Grand Canyon University and Sis. 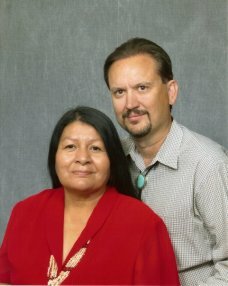 Marietta attended American Indian Bible Institute. They have been ministering in Pine Dale, NM since September of 2000. Go here? Tell us why you love BYKOTA Ministries. Visited? Tell us what a newcomer can expect. Enter your email address to receive an informative welcome email from BYKOTA Ministries.